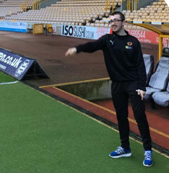 After taking part in a Sporting Chances disability engagement taster session at Wolves Community Trust (WCT), Aaron has now become a regular attendee at the club having done a weekly placement with WCT since September. 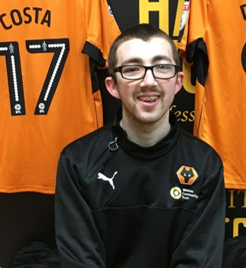 At the start of his placement with Wolves Community Trust, he had very little knowledge or experience of working in a professional environment. His ability to forge relationships was poor and he was very nervous. WCT then paired Aaron with their Sporting Chances Team Leader, Gavin Jones, who was able to mentor Aaron out on sessions equipping him with the skills to engage participants and how to act professionally when interacting with partners. Gavin was able to give Aaron training whilst in an office environment. This involved giving him guidance around his conduct in the office, including his interpersonal skills and organisation techniques. At first, Aaron would interrupt staff when on the phone and talk very loud, he would also lose things he had put down in the office and would call a member of staff constantly on the way into his placement to check he was doing the right thing. 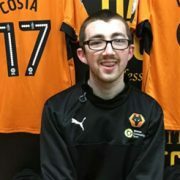 Aaron, who also attends Wolverhampton Vocational Training Centre, a unique learning environment that aims to offer students with Special Educational Needs the chance to gain vital employability skills, is now able to organise himself to get to Molineux without needing any support, constantly checks he has everything and his manner in the office is to the standard of any other member of staff. He has become a very popular person around the office interacting with everyone. 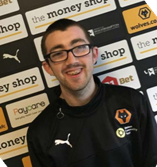 Claire Millington, from Wolverhampton Vocational Training Centre said: ‘’Since Aaron has been on work placement at Wolves Community Trust he has developed into a mature young man. His confidence has grown, when asked to do a task he is able to stay focused and retail the relevant information. He demonstrates a good work ethic, follows instructions and meets deadlines. 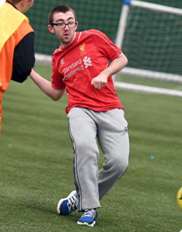 Sporting Chances work with community groups, schools and disability organisations across the city, delivering a range of activity to a variety of different groups each week. WCT also run Wolves Sporting Chances FC, who play in the West Midlands Ability Counts League. They currently have teams at U11’s, U16’s and Adult. The Every Player Counts project was made possible thanks to a £1.1m donation from the Wembley National Stadium Trust (WNST).